I talk to a lot of people on social media, in blog comments and at marketing meet-and-greets. And a lot of them know the value of online marketing but studied sports medicine, psychology, economics or history in university. It's like knowing that if you could only drive a stickshift you'd be given a Ferrari. But you've only ever learned automatic. I guess what I'm saying is this: If you're reading this article, thinking that something like marketing automation is beyond your expertise, budget and time, you're not alone. Marketing automation isn't new, and so if you know what it's like, then you probably know it's prohibitively expensive, complicated and time-consuming for you and your business. Except you're behind the times. There are several software providers who have built their platforms after recognizing a niche market of businesses who could benefit greatly from marketing automation but can't afford the time, energy or considerable marketing budget to pay for what's currently out there. Believe me - I was in several dozen meetings discussing this exact thing over the past 18 months. So let's just say that every marketing automation use-case I'll show you in this article is possible for your business (no matter its size) and can be done for considerably less than you might think. To download these 5 marketing automation use-cases and get a 6th bonus use-case, click here. Hot lead is a term we use to describe someone deemed to have a high level of purchase intent. For instance, someone who comes into your clothing boutique, looks at a blouse, smiles, tries it on and comes out with it over one arm, walking towards the counter. That's a hot lead: they haven't bought yet, but nor would now be a good time for you to take your break. 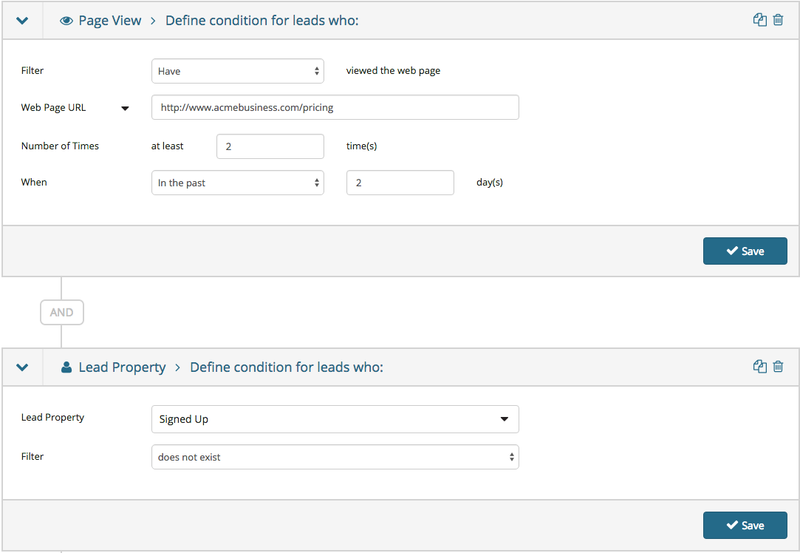 It's a bit more complicated for SaaS, B2B and Ecommerce, so here are a few reliable ways for you to define a "hot lead:"
Based on lead information: For instance, someone who has selected the "ready to buy" checkbox within your real estate landing page form. Based on lead score: For instance, someone who has A: Visited your pricing page, B: Visited your product page more than once, C: Downloaded a white-paper or comparison guide, and D: Clicked through on a sales email (but not converted). Individually this isn't enough to label someone a Hot Lead, but, together it's a strong indicator of strong interest. Based on conversations in chat or a demo: Your support team can always manually add a lead to a segment. Now, you might be thinking "that's all well and good, James, but how the heck can I tell if any of those things have happened? My Google Analytics barely shows me page traffic." I could then take this list of Hot Leads and use joining that list as a condition for triggering a sales email, internal sales notification (see below for more on that), phone call or even a dynamic change to my website to prompt them towards a conversion (perhaps an exclusive discount which only hot leads can see). Someone has visited your product page and selected a product or service. They've reached your checkout page, but didn’t complete the transaction. It's frustrating. You were so damn close! It's okay though, at least 68.55% of people who add an item to their shopping cart end up bouncing, not completing the purchase. This use-case gives you a strategy for dealing with shopping cart abandonment, automatically. Firstly, set your workflow conditions. This simply says "IF someone views the checkout URL but not the thank you URL..."
Then, very simply, set these conditions to trigger an email notifying your leads of free shipping. "Surprise" fees (such as shipping charges) are among the top reasons your prospective customers cancel at the checkout stage. 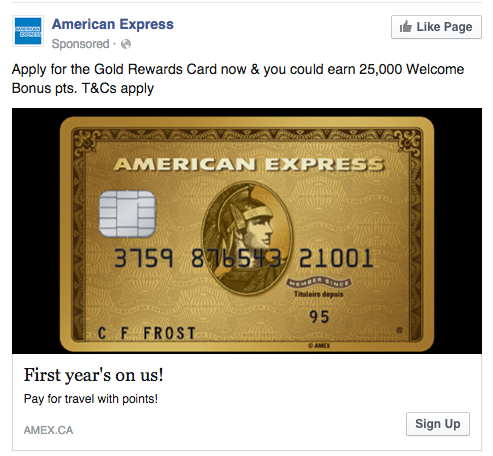 Alleviate this with a simple marketing automation workflow. 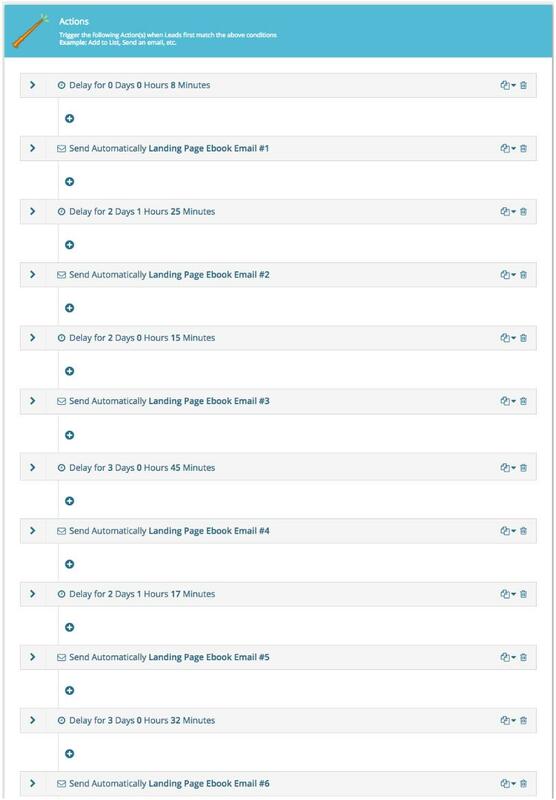 One of the coolest functions of marketing automation is that it can be a safety net, having your back when you don't have the time to monitor every single one of your thousands of leads and customers. My personal favorite use (in this part of MA's capacity) is the internal email. Like when Facebook reminds you it's a friend's birthday (seriously, what would we do without that? ), you can set your marketing automation to, essentially, ping you when something important occurs within your website, funnel or customer lifecycle. Step #1: When your salesperson first completes a sale, they manually add that customer's contact details to a "Customer" List. 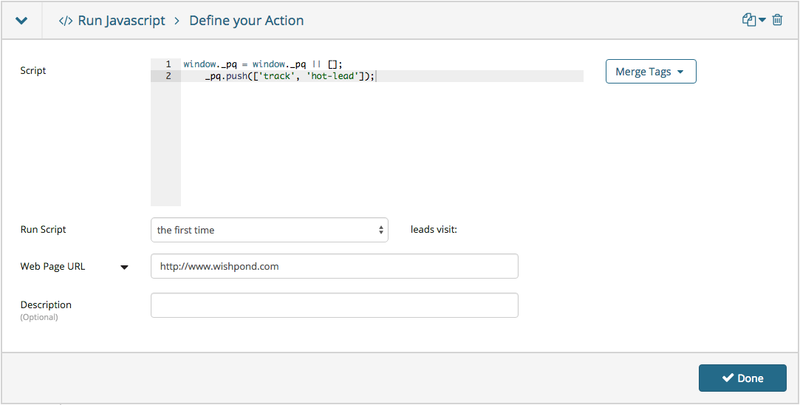 Each salesperson can, if they like, have their own List within your marketing automation system. Step #2: Create a workflow, the conditions of which are simply "becoming a member of James' "Customer" List:"
Note: Remember to set the the automatic “are you ready to buy more paper?” email to be from the sales team so they receive an email if the account responds). Another great way to use this workflow would be to trigger an email to your sales team when a high-value customer is inactive for a certain period of time (indicating they may be considering dropping your service). 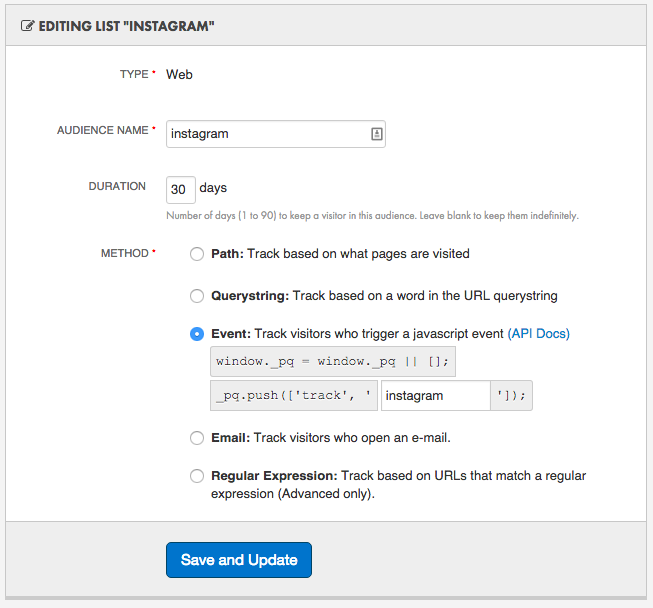 Do this by tracking their email opens, logins, page visits, or any other indicator you can think of. Segmentation is a crucial component of lead nurturing. You need to know a bit about your leads in order to expose them to the proper content which will turn them from a prospective customer into a loyal one. 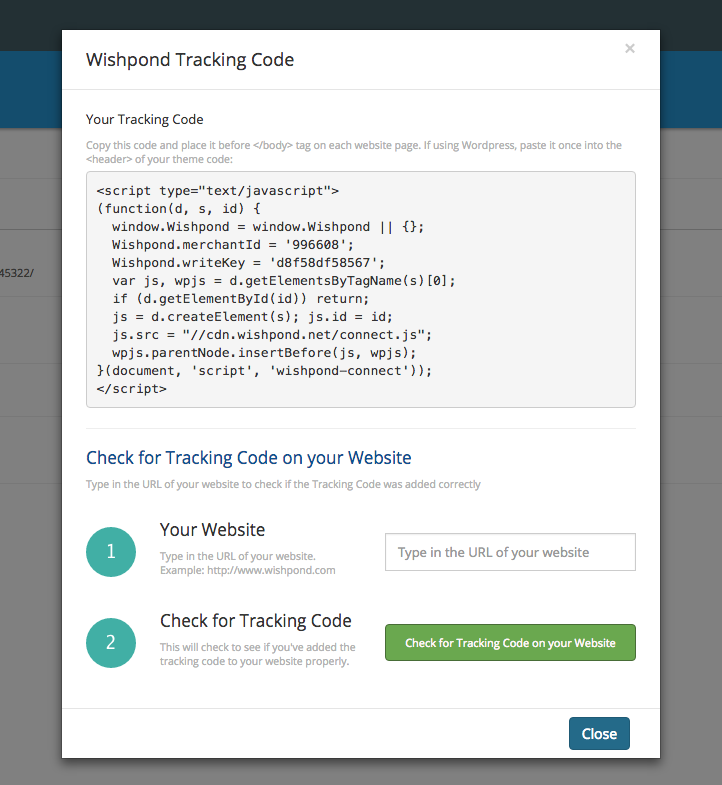 The easiest way some of our clients have found to do this (including Wishpond itself) is to create downloadable, segment-sensitive content and then segments leads based on what they’ve downloaded. 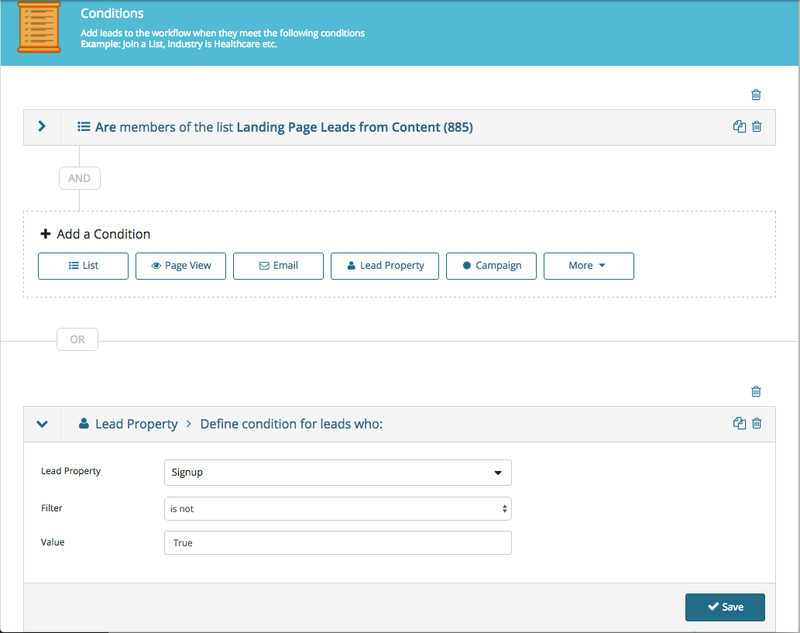 The easiest way to do this, of course, is to send leads from your segment-sensitive content campaigns into a single segment (or marketing automation list). Perhaps it'll make more sense if I show you. 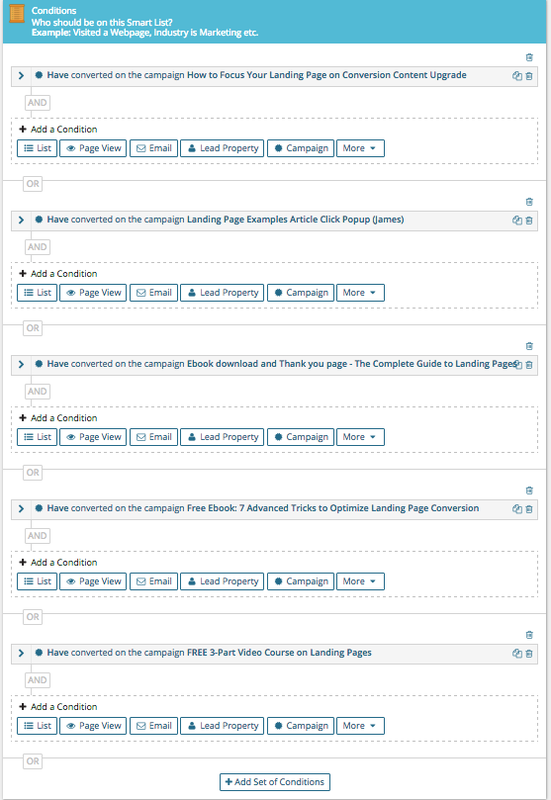 This screenshot shows the conditions of my "Landing Page Leads from Content" List. Essentially, it's a single list made from all the leads who become leads on my landing page-related content. Now, every time someone new is added to this list (by converting on one of the landing page campaigns) you could send them a series of emails focused on what they're interested in while encouraging a paid conversion. This one might sound a bit complex, so if you're not familiar with remarketing, I recommend you check out my introductory article on remarketing(also called retargeting). 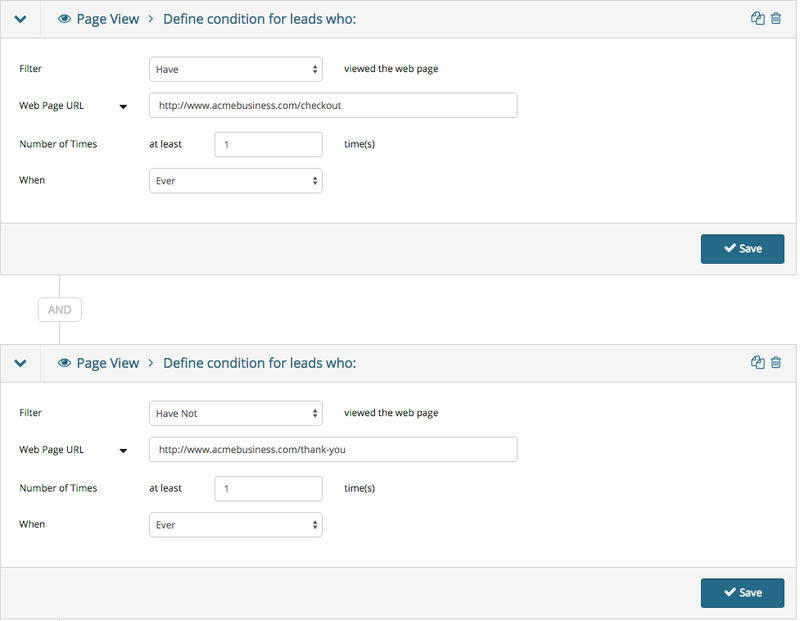 Step 4: Set up a remarketing audience of "hot leads" within your remarketing tool which will be populated by this workflow. This will not only increase the ROI of your ad spend, it will also save you money, as you'll be only targeting your website visitors who are genuinely interested in purchasing and just need that last push to convert. Hopefully those five (relatively simple) examples will help to convince you that marketing automation is a powerful tool. If you're still not convinced that it's simple enough or affordable enough for your business, let's talk. My new year's resolution is to help small and medium-sized businesses implement marketing strategies (like automation) which they believe to be beyond them. If you have any questions, concerns or just want to chat, reach out in the comment section below. P.S. Don't forget to download the downloadable PDF for this article, which has a bonus (even cooler) use-case for marketing automation.